A power of attorney (POA) is “a written document in which one person (the principal) appoints another person to act as an agent on his or her behalf, thus conferring authority on the agent to perform certain acts or functions on behalf of the principal” according to The Free Dictionary by Farlex. Powers of attorney are common documents in our society and are favored by most reputable attorneys. Parties use them regularly when they enter the military to assign a spouse or family member as attorney-in-fact to take care of important matters at home while they serve our country. Elderly people use them regularly to assign important daily responsibilities to loved ones or friends who may enjoy better physical or mental health. Very often, incorrect titles are thrown about when referring to powers of attorney. A power of attorney is a written document and not the person who is appointed (e.g., it is incorrect to say, “my power of attorney signed for me”). When a power of attorney is executed, the party who executes the document is referred to as the principal and the person appointed is referred to as agent or attorney-in-fact (as opposed to an attorney-at-law who are lawyers). According to Roger Thorne, the author of The Average Salary of Compensation of Power of Attorney, the title of attorney-in-fact “is not a job, a position or a career.” Instead, at its core, it is a “relationship between two people.” But that does not mean the relationship must occur without compensation. While an attorney-in-fact can serve without compensation if the parties agree, they are generally entitled to reasonable compensation for their services. If this general rule were not in place, many agents would simply refuse the appointment because it may exert a financial burden on them. In still other circumstances, an attorney-in-fact can receive generous compensation. Ultimately, the power of attorney document should describe what compensation will be paid and by whom. An attorney-in-fact or agent can be almost anyone the principal chooses. At my firm, we suggest they be (1) someone you trust wholeheartedly; (2) competent adults (18 or older and not incapacitated or disabled); (3) someone geographically close to where the principal lives, (4) someone who is responsible and able to act in your best interests, and (5) someone willing to accept the appointment as the position is not mandatory and may be declined at any time. If the principal has any doubts about their selection as agent, then they should select someone else. Powers of attorney are versatile documents and can be “general” a/k/a “durable” or they can be “limited” a/k/a “special.” For example, a power of attorney can be so limited as to only allow your neighbor to take your pet for veterinary care on a specific date for grooming only. Still others can assign a friend as attorney-in-fact to sign closing documents for real estate on a specific date and time when buying a house. In the alternative, a power of attorney can be so broad as to allow a family member the ability to make every decision regarding your healthcare. Still others can provide your mother the ability to pay all your bills while you serve our country overseas. Many people know about powers of attorney but remain confused between a springing power of attorney and a durable power of attorney. Regardless of the type of power of attorney, my firm suggests our clients always include separate powers of attorney for healthcare and for finances as part of any comprehensive estate plan. Without them, an estate plan disregards many living probate issues that are almost certain to complicate our lives such as injury, dementia, travel and dissolution. At my firm, we recommend a springing power of attorney for healthcare decisions and a durable power of attorney for decisions relating to finance, property and money. A durable power of attorney becomes effective upon signing and survives even if the principal becomes incapacitated. For example, the document is signed on Monday and Monday afternoon while you are traveling for business, your spouse may sign closing papers at the local title and abstract office to close on the purchase of your new home and then change the insurance on your jointly owned cabin cruiser at the lake. On Tuesday, you are involved in an automobile collision that leaves you unconscious for days. During your state of unconsciousness, medical personnel generally require approval to perform certain medical treatments. Not only will the durable power of attorney act immediately by appointing your agent of choice, but his or her agent status continues even if you don’t recover from your medical condition and remain without function until you are incapacitated or disabled. Without the durable power of attorney in place, a court with competent jurisdiction may be required to appoint a guardian and conservator to make decisions on your behalf. Such an appointment is a lengthy, complex and costly court proceeding. A springing power of attorney on the other hand does not become effective upon signing. Instead, it “springs” from bed and goes to work upon a certain event that is written in the power of attorney itself. Generally, that certain event is the principal’s incapacity. To that end, when and only when the principal becomes incapacitated (e.g., suffers from dementia, becomes comatose or unable to make decisions in his or her best interest), then, and only then, will the attorney-in-fact have the power to speak and act on the principal’s behalf. What is wrong with a springing power of attorney you ask? Timing and the lack thereof is the answer. Remember, the document isn’t worth the paper it’s written on until the springing event occurs. In other words, the key to a springing power of attorney is the event that triggers the power’s effectiveness. Most experienced attorneys require medical professionals be involved in the springing event. Some include language in the power of attorney requiring that two physicians, one or more who is the principal’s treating physician, sign a document that alleges the principal is incapable of managing his or her own affairs. Now, imagine that you are one of those physicians. The children of your patient come to you with a frantic request. They ask, “…please sign this document determining our parent to be incapacitated so we can have complete control of his or her finances.” As physician, is this a request you are going to take lightly? Would you act in haste or take your time to carefully analyze the situation while you address your other pending office matters and numerous patients? Few physicians will act immediately so some delay should be expected by the family and friends of the principal. What if your patient, the principal, is slowly declining and not the victim of a sudden medical crisis? For example, the same children come to you and ask you to sign the same determination form, but your patient has good days and bad days; occasionally, the principal is lucid and discusses current events and the weather; occasionally he or she is completely confused. At what point would you as the physician sign documents giving complete control of your patient’s finances to his or her children? It is easy to see that there may be uncertainty, conflict or disagreement among physicians, family and friends over the status of the principal and his or her incapacity. What if you are the family and you obtain physician approval and have the determination forms in hand but banks, vendors, etc. question their authenticity? Those recipients must be assured the signatures of the physicians and others are genuine and the forms are in order. After execution of a power of attorney, its storage and distribution are very important issues to address. Some of our clients remark they are concerned that giving the document to their agent prematurely may expose them to an increased fraud risk. In that case, we recommend the principal not hand the document to his or her agent but instead store it in a safe and secure location with instructions on how to obtain a copy when the need arises. Beware of storing the document in a safe deposit box in that some lenders/banks will not allow another person to enter a safe deposit box without a power of attorney; the very document that is stored within the box. 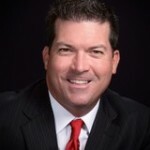 Todd Miller is the Senior Partner with the Law Office of Todd Miller, LLC located in Jefferson City, Missouri www.toddmillerlaw.com (573) 634-2838. Mr. Miller earned his juris doctorate from the University of Missouri School of Law in 1999. He was most recently recognized as an Advisor of the Year by GolfInc. Magazine. He is ranked a Superb Attorney with a “9.9” rating by AVVO and annually receives the Client Distinction Award by Lawyers.com. He writes and lectures on various legal topics and you may find him on Facebook, Google+, LinkedIn, and Twitter and at 1305 Southwest Blvd., Suite A, Jefferson City, Missouri 65109 staff@toddmillerlaw.com. My Mom is thinking about signing a Durable POA Financial document naming both my sister and I for all financial control that will be written in the document according to Missouri law. She wants to make it official immediately, rather than use the “springing” kind. My question is, am I required, according to Missouri law, to be present with my Mom, sister, the 2 witnesses, and the Notary when we sign the document? I live in California! No. The attorney-in-fact does not sign or witness the document.